The Bottom Line: Grisham takes a risk by tackling one of the biggest issues facing America: the cost of education, and the lengths people will go to in order to circumvent the system. 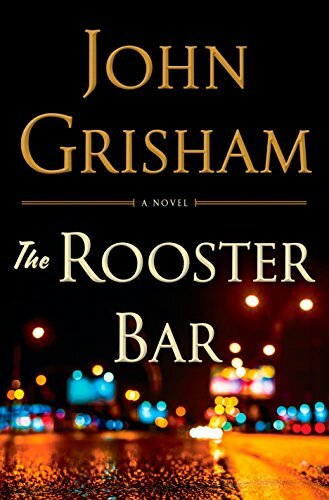 John Grisham practically invented the legal thriller genre, and in his latest book, he takes on the very institution that makes it possible: law school. Mark, Todd, and Zola came to law school to change the world, to make it a better place. But now, as third-year students, these close friends realize they have been duped. They all borrowed heavily to attend a third-tier, for-profit law school so mediocre that its graduates rarely pass the bar exam, let alone get good jobs. And when they learn that their school is one of a chain owned by a shady New York hedge-fund operator who also happens to own a bank specializing in student loans, the three know they have been caught up in The Great Law School Scam.